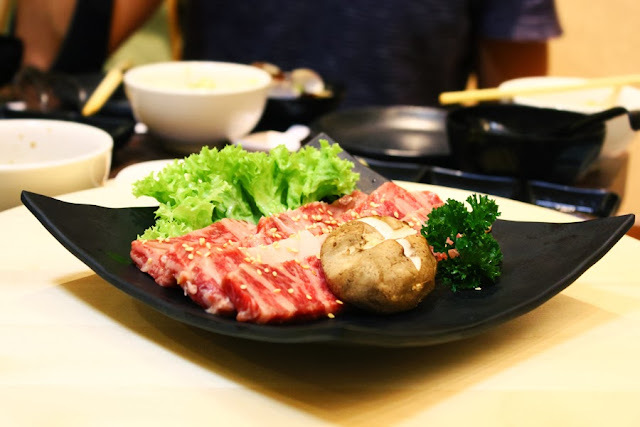 Arashi boasts a selection of premium meat, which includes "Ohmi" A4-grade wagyu, tenderloin (S$68.80), sirloin (S$88.80) and ribeye (S$68.80) cuts. All prices are 150g in serving. Their marbling, fat content and tenderness vary amongst the four. Excluding the wagyu, tenderloin is the leanest, whereas sirloin has the highest fat to meat ratio. Well, for a sirloin lover, Arashi's meat proved to be extraordinary, it is juicy, tender and possessed a surprisingly smooth texture. Needless to say, the meat tastes good on its own, even without the dipping sauces. Talking about their "Ohmi" beef, this brand of wagyu is actually Japan's top three wagyu, namely Matsusaka Ushi, Kobe and Ohmi. These type of cattle are raised with extreme care, and fed with only the finest meat grains. 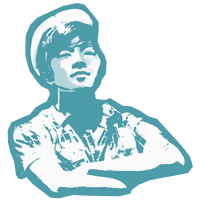 Unlike the rest, Ohmi is the only type with fat viscosity. Well, since Ohmi is made available (and more affordable) in Arashi, stop waiting and start reserving already. Did I mention they serve the finest and highest quality - A5 grade wagyu too? But that requires early reservation. Before I continue mumbling on about how awesome their grill was, Arashi is fitted with state of the art Japanese grill which emits zero smoke. That's a bonus for ladies (a least for my girlfriend) who complains their clothes and hair are stained with the "barbeque smell". 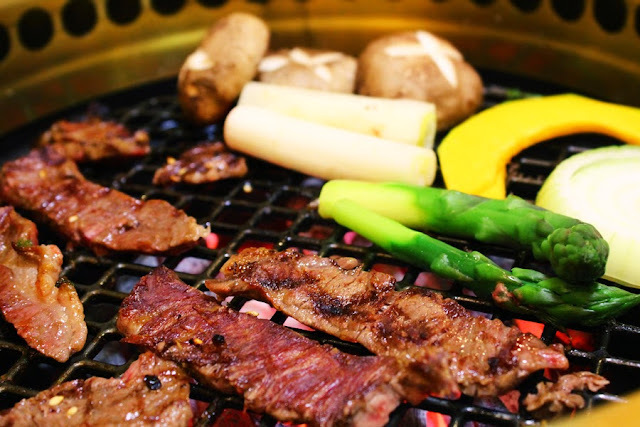 For their charcoal, premium Japan-imported white charcoal is utilised for an even heat and lasting grill. 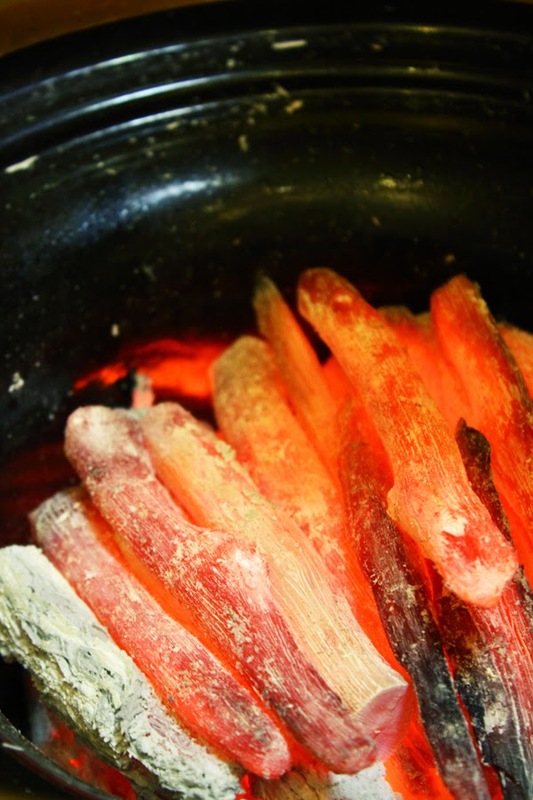 Cooking yourself is always fun, but the most difficult task to do is to wait. 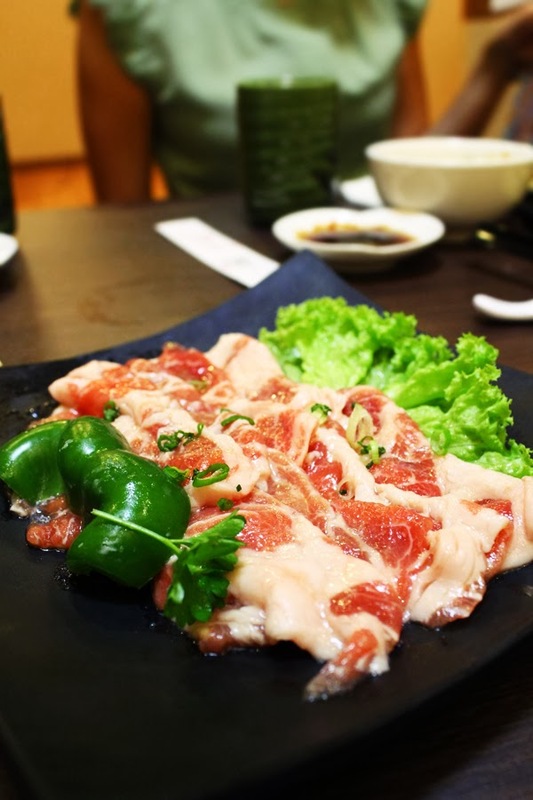 For non-beef lovers, Arashi also serve premium kurobuta and chicken. We are fortunate enough to sample the Japanese pork belly (S$19.80), collar (S$20.80) and Momi Tare Chicken (S$9.80). 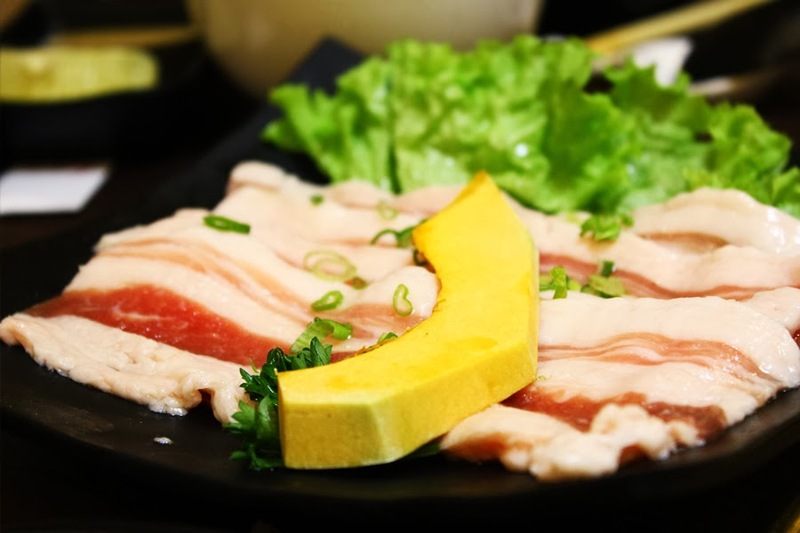 Unlike beef, pork "catches fire" easily due to its high fat content. Nevertheless, it is so awesomely tender. Well, sometimes it's not so bad to indulge in sin. May God forgive me. 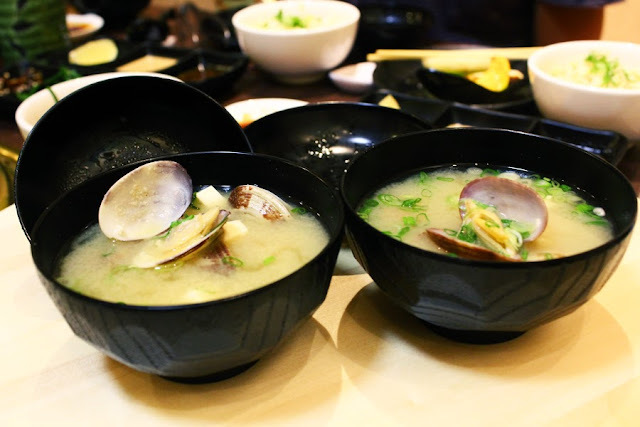 Skip the drinks and have their Asari Miso Soup (S$7.80) instead. The generous portion of clams lend its natural sweetness to the soup, making this a perfect sidekick for the grills. 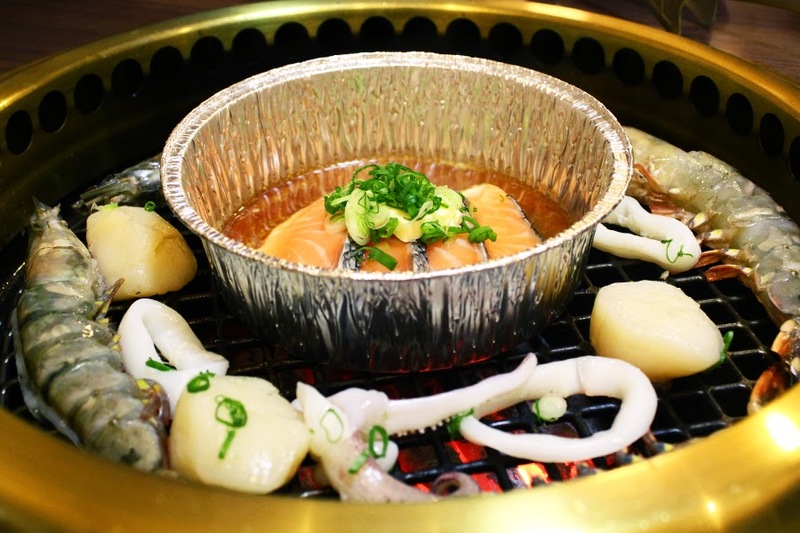 Beside meat, Arashi features a variety of seafood, such as squid, salmon, prawns and scallops (price range from S$6.80 to S$12.80). From their a la carte menu, try their Gindara Nitsuke (Japanese Cod Fish, S$18.80) and Tempura Moriwase (S$23.80). The former was exceptionally impressive. For your carbo fix, have their signature Garlic Rice (S$4.80), which is only fried upon order, ascertaining the freshness and fragrance that is felt upon every mouthful. 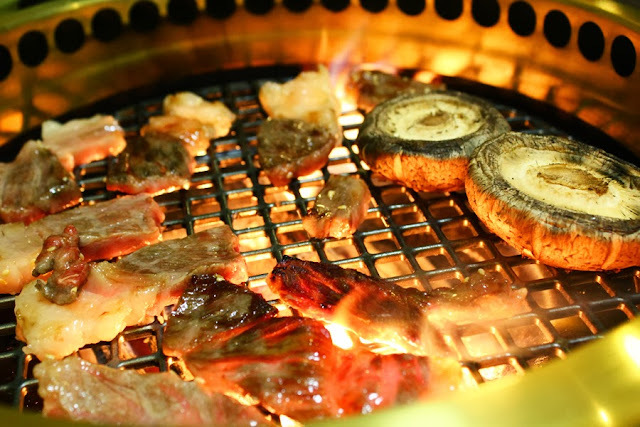 In a nutshell, Arashi serve authentic Japanese grills coupled with affordability and friendly services. Highly recommended. 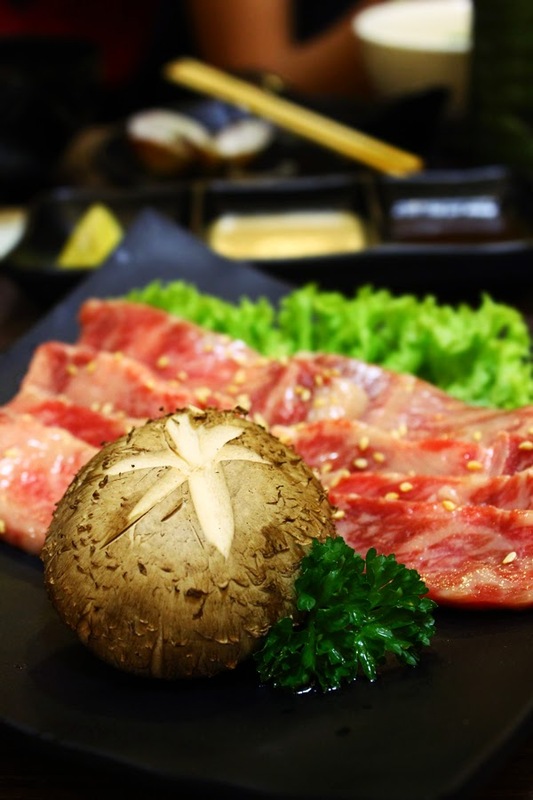 The next time your yakiniku crave kicks in, just head to Arashi.